AUBURN --- James Minker, 54, of 26 Maple St. died unexpected Monday at Memorial Hospital. Services will be at 10 a.m. Thursday at the Langham Funeral Home, 75 E Genesee St. Burial will be in Fort Hill Cemetery. Calling hours will be 3 to 5 and 7 to 9 p.m. Wednesday at the funeral home. Contributions mat be made the the Church of the Nazarene Memorial Fund. Born in Liberty, he resided in Auburn 20 years. 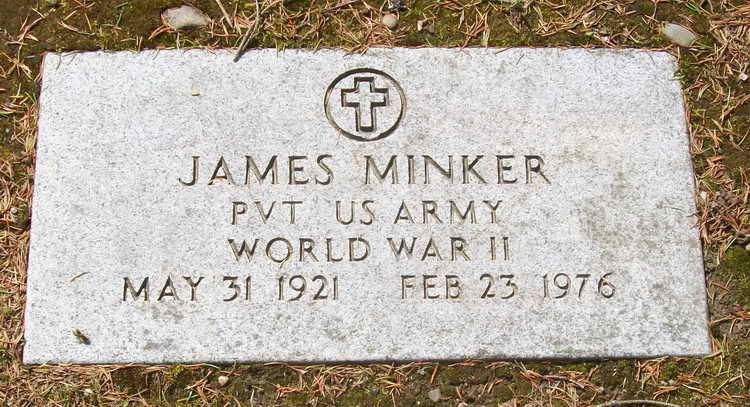 He was a paratrooper during World War II and a prisoner of war for one year in Germany. He retired as an employee of the A&P store and was a member of the Church of the Nazarene. Surviving are his wife, the former Esther Scott; five daughters, Mrs. Stephanie Defelice, Mrs. Vivian Harris, Deborah and Karen, all of Auburn, and Mrs. Linda Hilcon of Pennellville; and sons Steven James and John Bradley of Auburn; three sisters Mrs. Marla Cahill of Cleveland, Ohio, Mrs. Laura DeMar of Watertown, Miss Jean Cuyatt of Clay; nine grandchildren and several nieces and nephews. 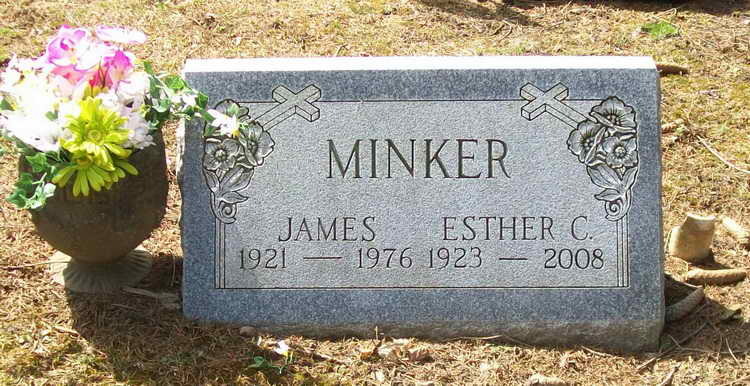 Grave markers for James Minker in .Memorial Park N, Lot 163, Fort Hill Cemetery, Auburn (Cayuga county), New York. James gained a great deal of local notoriety when it was revealed that he had once deserted his post while enlisted under his true name only to re-enlist under an alias. That fact was not mentioned in his obituary but there was lots of coverage about it in the post-war years. His alias was James H. Rowley and he served as such in Hq 3rd, 508th PIR.